It looks like Josh Dallas is going back to work full time. NBC has ordered the Manifest TV show to series for the 2018-19 television season, and the Once Upon a Time veteran has a series regular role in the new show. Manifest hails from Warner Bros. Television and Compari Entertainment. Writer Jeff Rake is executive producing with Robert Zemeckis and Jack Rapke. 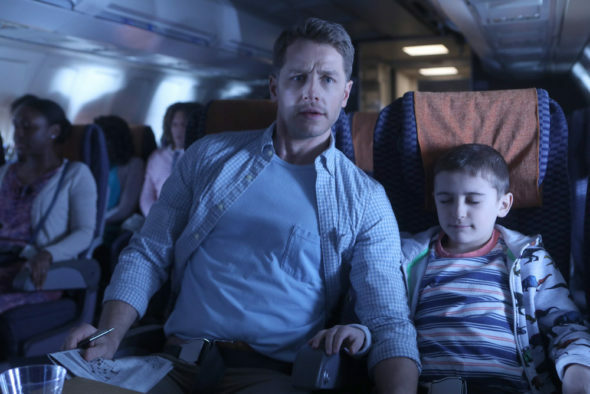 An NBC mystery drama, Manifest stars Melissa Roxburgh, Josh Dallas, Athena Karkanis, J.R. Ramirez, Luna Blaise, Jack Messina, and Parveen Kaur. The story centers on the passengers of Montego Air Flight 828, who, after landing, discover the world went on without them — for five years. David Frankel serves as director and executive producer on the pilot. Although the network hasn’t issued a press release about the Manifest pickup, they tweeted about the series order. Check it out. Here’s more about Manifest from NBC. Dallas, and wife Ginnifer Goodwin, who were series regulars for the first six seasons of Once Upon a Time, are returning for that show’s TV series finale on May 18th on ABC. Once Upon a Time is from Edward Kitsis and Adam Horowitz, who — once upon a time — were writers on Lost. While Manifest doesn’t sound just like it, it certainly brings that mystery drama to mind. What do you think? How do you like the sound of the Manifest TV series? Do you plan to check it out when it premieres on NBC? I watched the first episode, and I am hooked. If you haven’t planned on watching it, I suggest you do. So far, so good! I’m reluctant to start watching. Shows like this are canceled before the resolution. Sounds like an episode of “The Twilight Zone”.